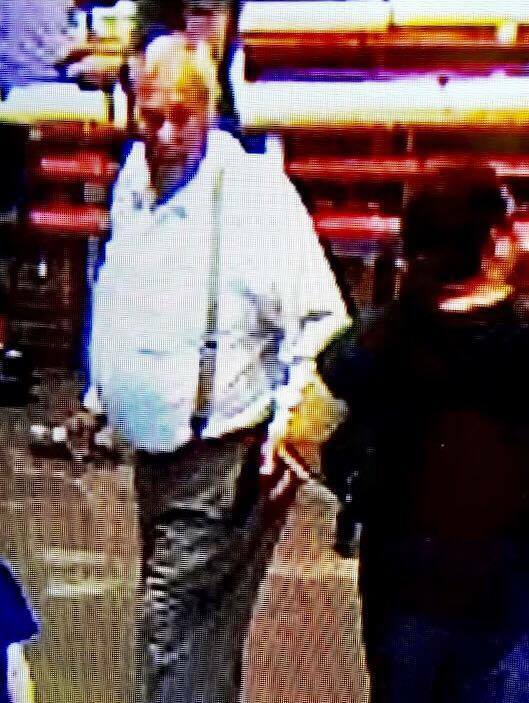 ST. GEORGE — The St. George Police Department is requesting the public’s help Friday in identifying a man wanted for allegedly keying a vehicle, causing significant damage, in a reported act of revenge. The incident occurred at approximately 5:20 p.m. Thursday in the Costco parking lot located at 835 N. 3050 East, St. George Police Officer Lona Trombley said. 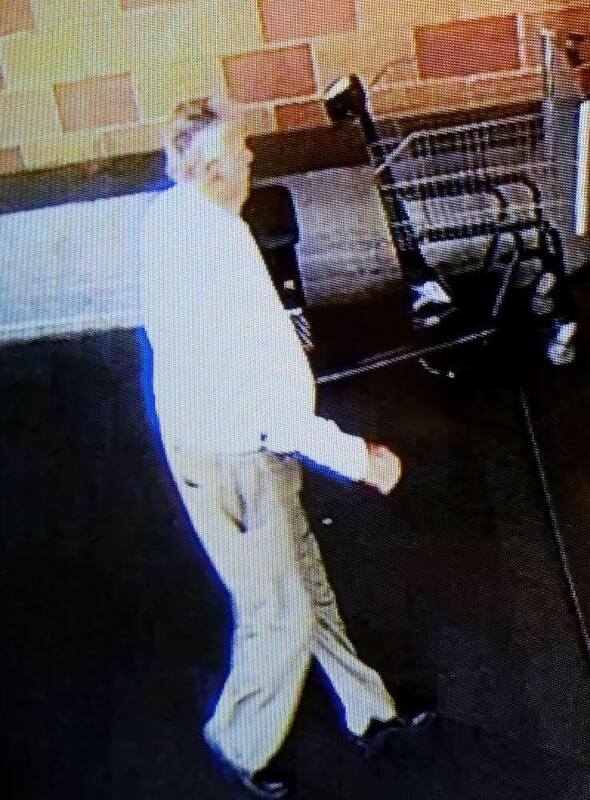 “(The man) keyed a woman’s vehicle – causing $1,000 worth of damage – after she took his handicap parking space,” Trombley said. The incident was noticed by another person, who notified the woman when she came back to her vehicle, Trombley added. Detectives are looking for information that may help identify the man captured in surveillance photos shown in this report. Police described the suspect as a white male in his 70s with a full head of gray/white hair. The man was wearing a long-sleeve white dress shirt with wide tan suspenders and khaki pants when the incident occurred, police said. He was driving an older model pickup truck with faded yellow and gray paint. 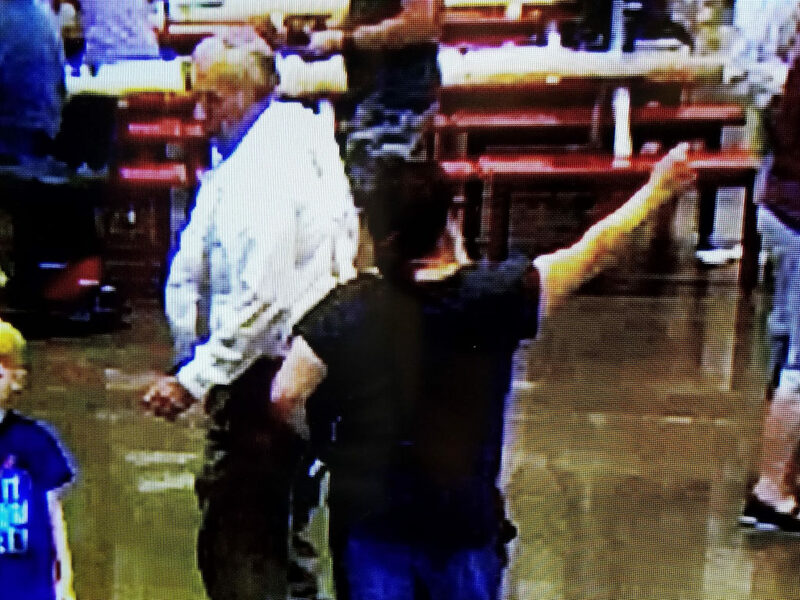 Anyone who recognizes the individual in the photo is asked to call the St. George Police Department at 435-627-4330 and reference incident No. 17P015667. A local polygamist gentleman obviously. Most likely from the Centennial Park group. He is wearing a dress shirt & pants in Costco on a Friday. They tend to be the sharper dressers on weekdays due to generally higher socio-economic status in the Centennial Park community. It’s the heat. No seriously! i’ve noticed generally worse driving than usual in stg since it got super hot. WOW! When both of my cars got keyed causing $2600 worth of damage to my vehicles. In front of my house. I called SGPD. They pretty much told me to go pound sand. Here is some advise for the lady who was keyed. Call Auto Body Central. They did a great repair job on my vehicles! Handle it like an adult and get it fixed. Don’t wasted my tax dollars and the time of detectives who could be focusing on important police work. GO FALCONS! The only difference between a young punk and an old one is age! The article doesn’t mention if the lady that “took HIS” handicapped parking spot was also handicapped. If so, and she got there first, that’s just his tough luck. And if she is not handicapped, then the appropriate action on his part would be to call the cops on her. FWIW, if she is not handicapped, I hope the responding officer wrote her a ticket, regardless of what the damages are. this is definitely the crime of the century. IF the person had no handicap placard or plate I would hope next time that they would be blocked in and the police called to issue a ticket to the offender. There is nothing that bothers me more than old people around here that feel entitled to a handicapped parking space. Welcome to St. George! It would help if the first 10 spots on every row didn’t cater to “walking handicapped.” What they really cater too, are 55 & up Cali retirees with more $$$ than most locals will ever have. After I saw the Asian “Ma/Sausage” Parlor bust in the news last year; I knew, we had finally completed the garbage import from Ca. The drugs, homeless, illegal’s, Cali escapee’s, and Asian massage parlors! At least Cali has real mountains, great beaches, perfect climate, good jobs, and Disneyland. We got heat, dirt, and all their same problems; minus the possibility of a good paying job. I hope the door does hit me in the azz! Badshitzoo, I’m sorry, but I’m one of those retirees that moved here from California. We moved here because we loved the area and the people. I can understand how you feel though but, what I have an issue with is you saying there is no (possibility) of good paying jobs. We’ve only been here for one year and I can tell you most people here are making alot more than ANYONE we have ever dealt with before in California, and we lived in a pretty expensive area there and that’s one reason we moved. Literally, every single service we’ve dealt with here has cost WAY more than anything we’ve dealt with before. I’m talking $50 bucks an hour to spread gravel ?, and that was $50 an hour for EACH worker, (there was 3 of them) We looked into having our windows washed, got many estimates and that came out to DOUBLE what we we’re paying for. (and for less windows) , $30 to have a tire fixed? , seriously? ($10 max in Ca.) This list keeps going and going, I’m not complaining, we love it here but some one is making money, Geeze, look around . I’ve never seen so many people driving around in $70,000+ one ton 4 wheels drive trucks. etc, etc,etc. There’s a huge wealth divide here. Most of the service jobs are garbage pay that one can’t live on. If it was $50 an hr to spread gravel the “foreman” is taking 40 of it, the workers get 10. Prices for things are high here because of greed. The pay for actual employees is abysmal. This is the same guy that has been in Albertsons near Harbor freight, swearing and hollaring about the electric carts not working properly, the guy was hollaring and swearing about his cart, and then he gets up and walks perfectly fine out the door. Not “Judged” by what we wear. Identified, by what we wear! How long exactly have you lived in Southern Utah? 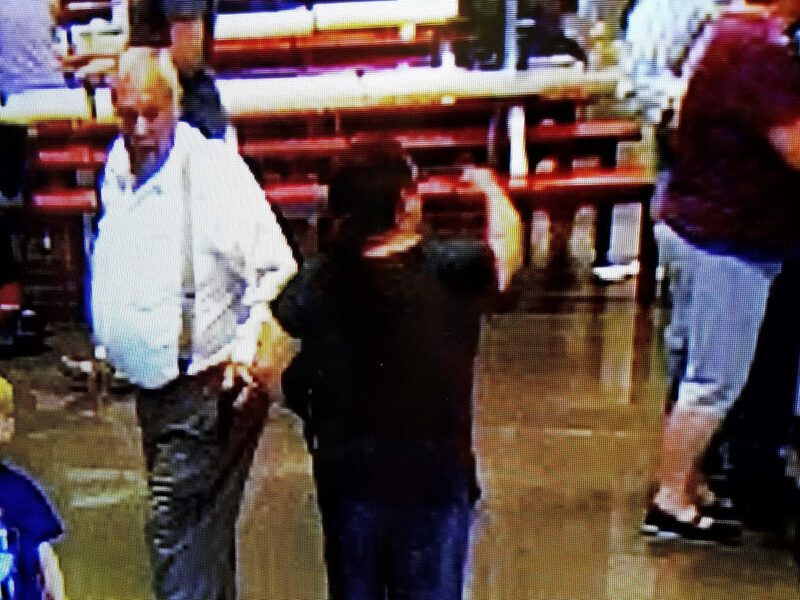 It is safer to conclude that someone clothed head-to-toe in 110* heat (especially the long sleeve’s) in St. George Costco, is a Polygamist; than it is to conclude everyone in that Costco wearing a Costco uniform is a “Costco employee.” Go back to California! I’m right behind you! I love stupid liberals, and beautiful weather. what are u on about “we’re judged by what we wear”? I’ve not read anything like that here. You a loon? Steady. Use your words “comments”. Don’t forget to capitalize. A “loon” ? That is quite a term coming from you: I’ll take it.. I always wanted to be called a “beautiful bird”. Next time just use one of the many “bad words” I’ve heard soo many use for replies to you! Loon! Ouch! ROTFLMAO.